Facial recognition to track citizens. A MUST read! 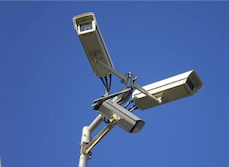 In just 2 years, there will be 570 million surveillance cameras — that’s nearly one camera for every two citizens. At the same time, China is a building a national database that will recognize any citizen within three seconds. Thanks to a large population and minimum privacy laws, police and private companies have led the way in developing surveillance technology that is now being used to track travel, shopping, crime, and even toilet paper usage. Facial recognition cameras are installed at intersections to take pictures of people crossing roads or offending traffic rules. Railway police already use facial recognition sunglasses that can identify travelers within 100 milliseconds. Since their introduction earlier this year, they’ve been used to identify a number of criminals. KFC store uses “Smile to Pay” technology. Alibaba has a chain of cashless stores called Hema. Shoppers use their face and phone number to approve payments from their Alipay account. Customers of China Merchants Bank scan their faces instead of their bank cards at some 1,000 ATMs. SenseTime’s software tracks customers as they move around a department store. Xinjiang has more than 40,000 surveillance cameras used to track and monitor the Uyghur ethnic minority. To enter the Hotan bazaar in Xinjiang, shoppers must have their face scanned and cross-referenced to their national identification card. China’s Police have an SUV with a 360-degree camera that can scan every face within 200 feet while driving up to 75mph. The driver is alerted to any database match. Anyone still think we are winning the technology race?